Be it your little brother or your beloved husband, this unique gift item is sure going to make him feel happy. 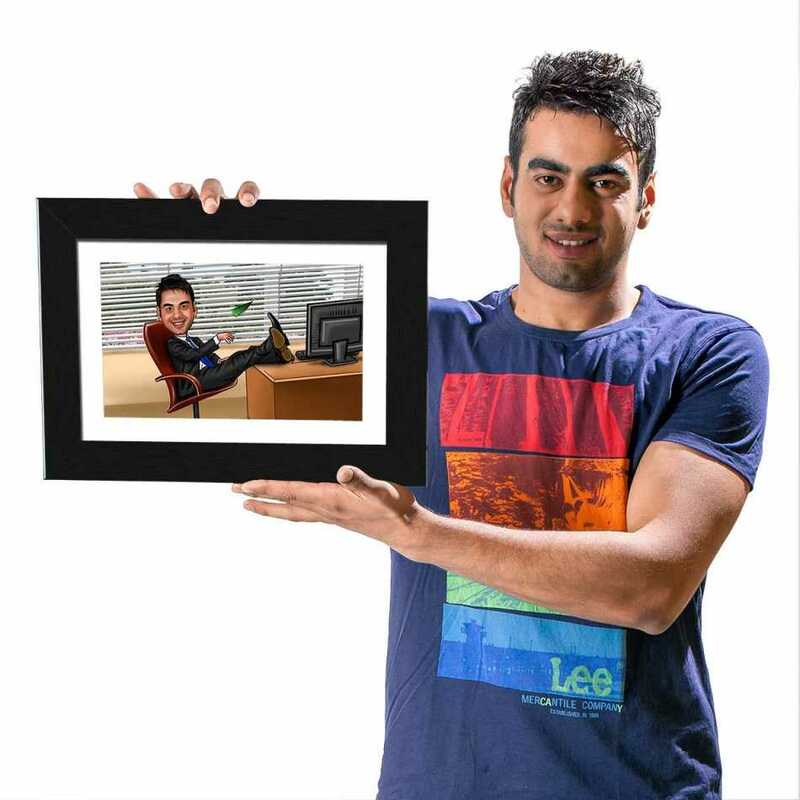 The caricature photo frame features the bossy personality in the most funny and innovative way. 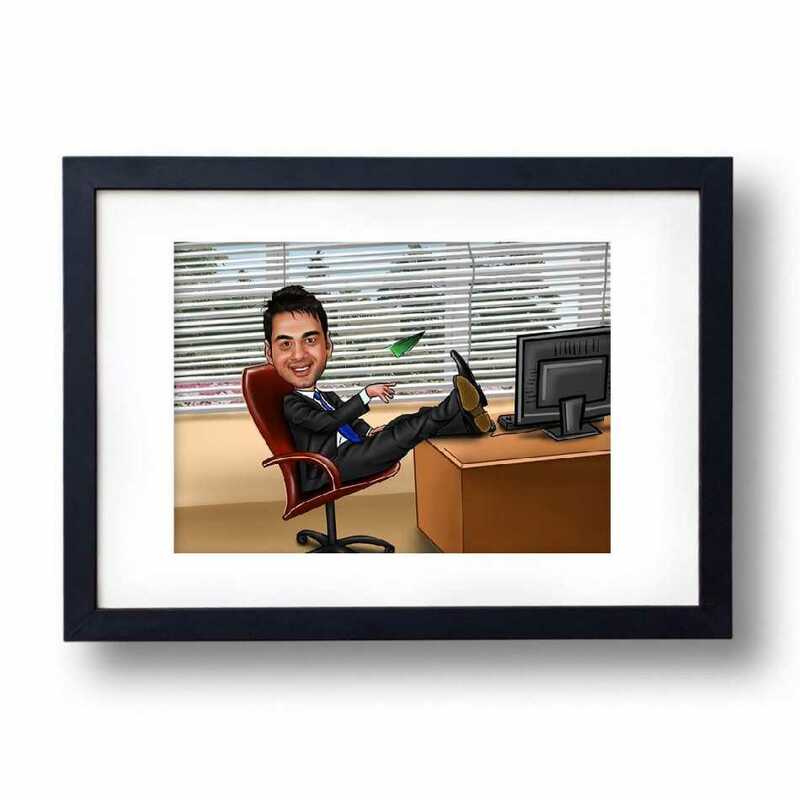 This caricature features the nature of a classy boss who loves to perform his duties in style. He looks like a handsome hunk in a traditional gentleman dress with a beautiful tie. 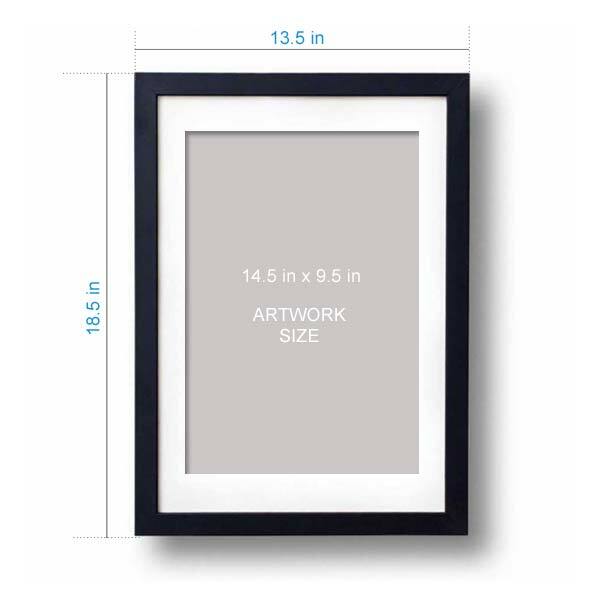 Overall, this photo frame depicts the bossy personality most creatively and funnily. Do you have a funny boss with whom you love enjoying working? If yes, then you celebrate his birthday in a classy way rather than gifting the traditional items like watches or showpieces. Try something unique this time and gift him this innovative caricature that your boss will like more than your imagination. Furthermore, it can be a perfect gift for your friend who wants to own a multinational company in the future. You can show that you have complete faith in him and want him to succeed. This caricature will turn out to be a fun and inspirational way to boost their confidence.